I found the ultimate flat shoes paradise in Singapore. There is this funky shop, Rubi, that sells comfortable, durable and stylish flat shoes at a bargain. Think ultra chic flat shoes that come in many fabulous colors for 2 for $25 or a pair for $10 or $15 dollars. I felt like I’ve died and gone to heaven while shoe shopping there. Rubi shoes are also available at this (sigh!) fab shop called Cotton On, both stores are all over SG. You definitely won’t miss it because if you are a certified flat shoes addict like me, you will just know that it is THE SHOP just by looking at the displays. That distinct heartbeat when you pick up a pair is something hard to miss. And that sudden rush of excitement that flows through your body which signals you to BUY is something that is hard to resist. In no time at all you will find yourself walking away with a pair (or two) and a big big smile pasted on your face. 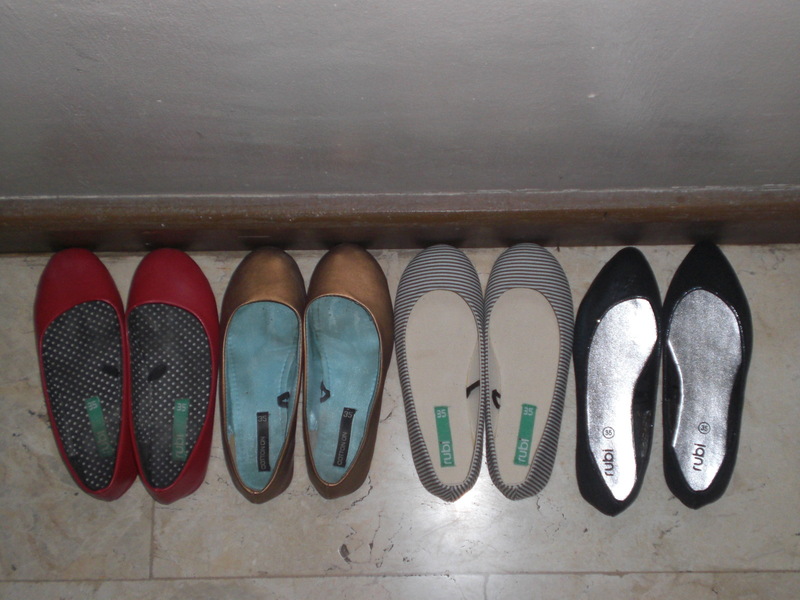 My little, as in, very small collection of Rubi flats. you know the saleslady said we can’t take pictures inside the shop kahit outisde. hmp!!!!! 25 Singapore dollars po buh 2? for 2 pairs? nice! The store in your photos were pretty big! 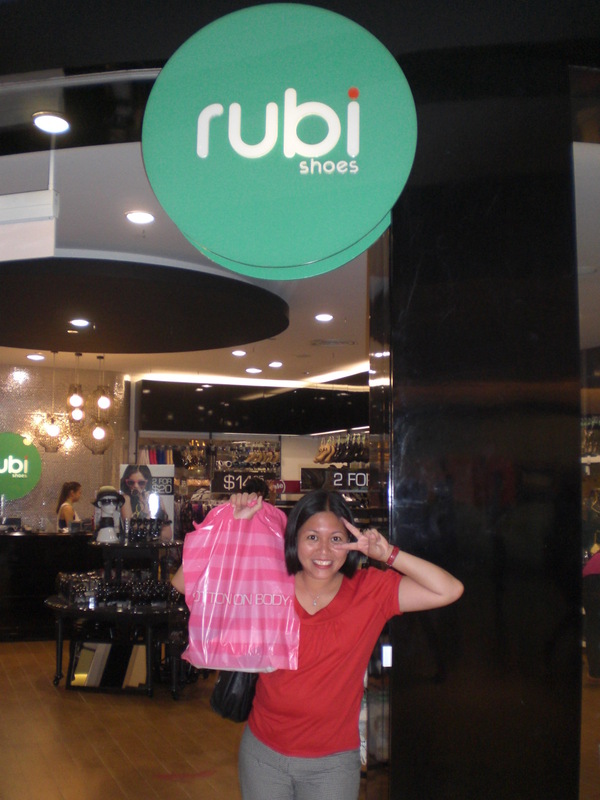 i went to SG last year, but the Rubi store i found was pretty small and lack of size stock. Where is this store you took a pict with located exactly? I also love rubi shoes because the sizes fits me so well, besides their style is also my taste. that is why right now I just shopped one rubi shoes online. Rubi shoes are excellent! I love rubi shoes because of their design and color amazed me. Amazing choice of Rubi shoes. Next time I’m shopping for sneakers, I’m definitely going to look for Rubi! Buying shoes really is a difficult task and shoes are the most eye-catching accessory to get attention. I really like ruby shoes. This is actually very versatile and comfortable.